Throughout 2018, we’ve seen digital marketing grow and change with consumers trends. In the past year, we’ve seen the rise of importance with content marketing, social media marketing — including social CRM and social customer care — and mobile marketing. 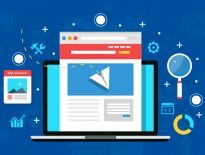 Now as 2019 creeps up around the corner, let’s take a look at what’s hot in digital marketing for the new year, and how we’ll continue to evolve in the ever-changing digital landscape. The idea behind visual search is to provide the opportunity to look up an image in the same way you would a phrase or query on a search engine. A great example of visual search using artificial intelligence is Google Lens. Using apps such as Google Photos or Google Assistant, Google Lens can do many practical things you may not have even considered. If you provide Lens a photo of apparel of home goods, it will search for similar products and where to purchase them. A barcode image provides information about the product, a business card saves the contact information on your smartphone, and a book pulls up summaries and reviews. You can also become your own tour guide via landmark photos that allow Lens to show you historical facts, hours of operation, and more. During the rise in popularity of virtual assistants like Siri and Alexa, the frequency of voice searches has increased, and as a result, it’s become more accessible. These voice search assistants are now built into our everyday lives; they’re not only integrated into our mobile devices, but into our smart home devices as well. Of the 3.5 billion daily searches on Google, almost one-third of them are voice searches — and by 2020 we’re expecting to see this number rise to a whopping 50%. With this increase, we must understand that voice queries do differ from the traditional text query. The major difference when comparing voice search to text search is that voice queries tend to be longer. For example, in the natural flow of speech we are more likely to say, “Where can I get my skates sharpened?” whereas an equivalent text query may look more like “Skate sharpening near me.” With this in mind, it is important for content to sound natural and conversational. Using SEO tactics to optimize your site for voice search could bring your website to the top of these voice queries that often return fewer results. As a result, you may see increases in your click-through-rate (CTR). These are important things to keep in mind as we move into a year with increased voice searches. Marketing Automation has been a buzzword in the digital marketing landscape for quite some time. In short, it covers the realm of software that exists to automate marketing actions — so, it’s exactly as it sounds. That being said, marketing automation is only as effective as the strategies behind it, and perhaps that’s where organizations struggled in the past year. Moving into the new year, we now have a better understanding of when to implement marketing automation software and how to maximize its features. Effective use of marketing automation is all about the leads. 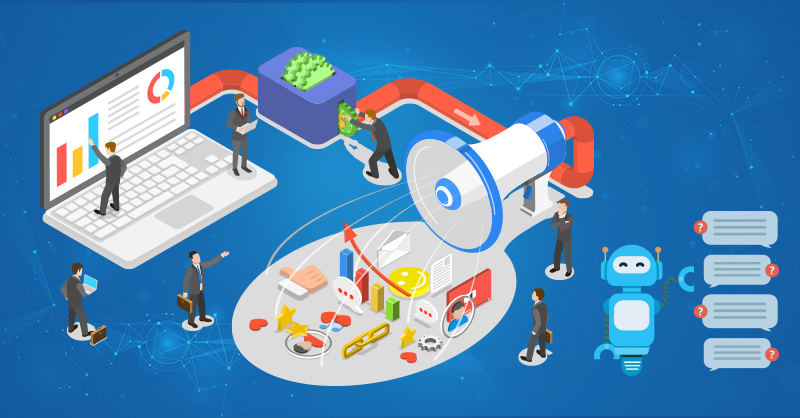 Your business is primed for implementation of automation when you are generating a steady flow of new and qualified leads organically; automation will help alleviate the work of the sales team. However, it isn’t just about the generation — it’s also about tracking. Automation is effective if your company is tracking leads across every touch point and marketing channel. These are just a couple of indications that this digital marketing trend for 2019 is one you’ll want to embrace. One of the most exciting digital marketing trends for 2019 is virtual reality (VR) and augmented reality (AR). Taking advantage of today’s need for engagement with experiential marketing is a great way to take advantage of both virtual and augmented reality. These are incredible, exciting new resources to turn an audience into active participants. Though both are immersive technology, they do differ in one major way — while virtual reality is an entire computer generated experience, augmented reality layers virtual elements onto the actual space around us. Though VR and AR solutions for brand marketing may be a relatively new concept, industry leaders such as IKEA are already taking advantage of this technology. IKEA utilizes AR within their shopping app, allowing consumers to test products prior to purchase. The VR and AR market is forecasted to boom in the near future, reaching a whopping value of 209.2 billion dollars by 2022. If you’ve interacted with a large business online recently, you may have found yourself conversing with a chatbot. These are artificial intelligence-based virtual assistants that are available to provide support to a business’ clients at any time. They are advantageous due to their responsiveness and accurate data recall. As they can handle many clients at once, this creates a budget-friendly method of handling customer service effectively. Chatbots are also surprisingly versatile — they can be integrated into websites, applications, and even social media platforms. The public perception of chatbots could be a point of contention when choosing whether or not implementing one would be the right choice for your business. If you’re taking the reputation of your business into consideration, you’ll probably be happy to hear that the general view on chatbots is quite indifferent, where out of 5000 people surveyed, 33% found chatbots to be positive, 19% negative and the remaining 48% falling in neutral as long as their reason for contact was resolved. A chatbot may be the right move for your business if you are looking for a cost-effective method to provide excellent customer service at any hour. There are many chatbot providers available that can be compared and evaluated through a simple web search. Video content is becoming critical for businesses and it’s no surprise that we anticipate this trend to continue into 2019. In fact, by the numbers, 72% of businesses say video has improved their conversion rates and 52% of consumers say that watching product videos makes them more confident in online purchase decisions. If these numbers aren’t enough to convince you that video has secured its place in digital marketing, we are also seeing a rise in popularity of live video content. A recent global survey by the Interactive Advertising Bureau came through with results that showed a shocking 70% of respondents streamed content daily, and as of June 2018, 47% have increased their live streaming since the previous year. With video and live video options available on many widely used platforms today such as Facebook, Instagram, and Snapchat, it should not come as a surprise that the necessity for video content is on the rise. As you can see from the digital marketing trends we’ve recapped, the industry will continue to adapt to the changing needs and behaviours of consumers. New search methods such as visual and voice search are becoming more common, immersive experiences with AR and VR are slowly entering the digital marketing world, chatbots are providing satisfactory service and much like this past year, and video content is still king of engagement. With that being said, 2019 is shaping up to be an exciting year for the developing world of digital marketing. To keep your business on top of the ever-changing industry, speak to a digital marketing expert at TechWyse by calling 866.288.6046, or contact us here. Very nice article with so much of interesting information, detailed statistical study. Keep it up! Will definitely by suggesting this article as a worthwhile read to all of my coworkers at https://www.miniweb.co/! It’s the time of year where everyone is trying to predict next year’s big trends. This article is very well informed and their claims are backed up with real data. I will definitely by suggesting this article as a worthwhile read to all of my coworkers at https://www.web3.ca/! Today is the world of Digital World, and the term Digital Marketing is very very important for all businesses. In this blog you share latest trends of marketing which is need of all marketers. This is describe in this in very simple and easy way. Video marketing is a real in, most of the social media channels provide an incredible reach to the people who post videos. I witnessed great reach on LinkedIn videos and even greater reach when you go live on Facebook. Actually, Facebook sees itself in competition with Youtube which is the most impactful social network after Facebook as 30% of video visitors convert into leads and actual sales. Human touch has become necessary in social media and social media is now the new king of digital marketing which is not known by many so far.